The 2016 season of Formula 1 has officially started with the teams heading to Australia’s Albert Park for the first race of the year. Will the Mercedes-AMG Hybrid‘s 2014 and 2015 dominance hold? Will Sebastian Vettel and Ferrari challenge for the title? Will the McLaren-Honda team finally deliver a car that can get its all-Champion driver line up to the finish line? Will all the new tire rules and qualifying changes make for a better show? It’ll be impossible to know before the race itself on Sunday. Reality is boring, however, while baseless speculation and opinion-spewing is so much fun! Here, then, is Gas 2’s 2016 Formula 1 Season Preview, with the teams presented in the order I think they’ll finish up the year. Enjoy! Mercedes was in a league of its own in 2014 and 2015, and there’s no reason to believe it won’t come into 2016 even stronger than before. Its young champion, Lewis Hamilton, has won the WDC three times already- and he’s being challenged by a hungrier-than-ever Nico Rosberg who is riding the momentum of a strong closing half to 2015. With a big head start and a massive winter development budget, it would be surprising if Mercedes didn’t find itself the team to beat again. Everyone wants to see Ferrari take home a championship (its last went to Kimi Raikkonen back in 2007), and the expectation is that the Scuderia has givin Sebastian Vettel a car that will get him there. Heck, even Mercedes’ drivers are saying Ferrari has a real shot at this thing- but is it all hype? Unveiled earlier this year with drivers decked out in posh Italian suits, the striking Ferrari SF16-H (for Hybrid) looks the business, and the return to a more historic, red and white “Marlboro” livery looks pretty good, too. Red Bull may be down on horsepower thanks to its Renault-based TAG engines, but development of the matte blue cars has been overseen by the legendary Adrian Newey- and it’s believed to be a master class in aerodynamic efficiency. Whether that translates into wins remains to be seen, but you can be doubly sure that both Daniel Ricciardo and Daniil Kvyat will be doing their best to score points at every race this year. Why are the drivers so motivated this year? Because Red Bull’s junior team is eager to move its young star Max Verstappen up to the front- which means one of this year’s Red Bull drivers is driving to keep his job next year! Despite massive financial troubles early in 2015, Force India rallied with a “Spec B” car late in the season that made the most of an innovative aerodynamic concept at the nose of the car. It was such a huge gain that Force India challenged for podiums on a few occasions and finished off the year in a strong fifth position just behind Red Bull. It’s that momentum- plus a more intense rivalry between FI drivers Sergio Perez and Nico Hulkenburg- that has me convinced they’ll beat Williams for the fourth spot in this year’s championship. Williams has a lot going for it. It’s a team that knows how to win championships, and one that employs two very fast drivers in the form of Felipe Massa and Valtteri Bottas. It has one of the best-looking cars on the grid, and- thanks to Mercedes- it’s been fitted with the best engine on the grid, as well. So, why do I have Williams fifth in the standings? Simple: the 2016 rule changes will put an emphasis on strategy and critical thinking, and Williams have had a terrible record of reacting to changing track conditions and traffic in recent years. They may have won in 2015, if they’d issued team orders a few laps earlier- and they’ll botch similar calls again in 2016 as they “play it safe” to bring home points. 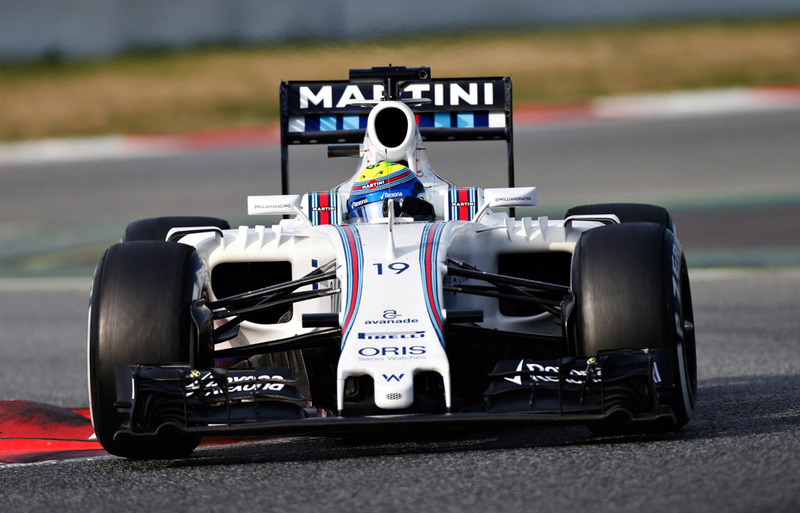 Williams will be an effective team, no doubt- but, for 2016, at least- they probably won’t be the most exciting team on the grid. That’s Max Verstappen. Last year, the guy started his first Formula 1 race at just seventeen years old. Despite Max being hailed as a future champion, many predicted disaster, first-year jitters, and lots of rookie mistakes. None came, and Max finished the year with 49 points to his teammate’s 18. This year, many are predicting that Max will take the fight to Red Bull’s A-squad- and that, as a consequence- Toro Rosso may outscore Red Bull. If Max’s talented teammate, Carlos Sainz Jr., can overcome the bad luck that plagued him in 2015, they might just … but I don’t think they will. I think Max has shaken Sainz’ confidence to the core, and he’ll continue to be caught out by “bad luck” throughout 2016, leaving Max to carry the team. You can’t trust the rumors swirling around the McHonda team. At one point, there were rumors that the car had picked up more than 200 HP over the winter. At another, the reliability woes of 2015 were still rampant, and no one knew if the 2016 McLaren-Honda would even finish a race. In testing, the cars have been slow, but they haven’t run on the new ultrasofts … and the team’s all-Champion driver line-up is all smiles. So, what gives? My guess is they’ve found something- and the fact that Honda hasn’t used nearly as many engine development tokens in the off-season as Ferrari or Mercedes could mean that they’re confident in what they’ve found. Or, you know, that they’re hedging their bets. Kevin Magnussen shocked the world in 2014 when he finished his first-ever Formula 1 race on the podium. He put in a few solid drives afterward, but was pushed into McLaren’s shadows with the signing of the great Fernando Alonso and- for a time- it looked like he would be out of Formula 1’s limelight forever … until a last-minute call from Renault saw him replace Pastor Maldonado alongside rookie Palmer. Magnussen is now in a much more forgiving environment than a Rond Dennis-run McLaren, and Renault is in a rebuilding phase. Now is the time for Kevin to learn the tracks and master his racecraft while Renault bides its time until the 2017 rules upheaval gives the legendary team another shot at the Championship glory that’s eluded the team since 2006. 2016 marks Haas’ first year in Formula 1, and the team is doing F1 right by causing controversy immediately. Amid accusations that Haas’ wind tunnel data was being collected by Ferrari and that the American team would serve as a “junior” development team for the Scuderia the team signed Ferrari reserve driver Esteban Gutierrez. On top of that, Lotus-Renault driver Romain Grosjean (who has long been linked with a move to Ferrari once Kimi Raikkonen retires) was also signed, adding even more fuel to those fireside tales. Regardless of the team’s newness or junior-ness, however, its driver line-up is solid, and Haas is nothing if not deeply staffed with talented engineers and machinists. Factor in an obviously close association with Ferrari and the second-best engine on the grid and it’s hard to imagine they won’t finish ahead of Sauber and Manor. Despite having no money, minimal experience, and a team of pay drivers that will play musical seats all season long, I’m still putting Manor ahead of the Sauber Ferrari team for one simple reason: they have Mercedes engines. In the V6 turbo hybrid era of Formula 1 that we’re currently in, a Mercedes engine is practically a guarantee for points at high-speed track like Monza, and will serve- at least!- to make the Manors difficult to pass on the straights. That’s more than Sauber has, at this point. No money, questions surrounding the team’s solvency, and a pair of well-funded drivers who- I mean, they’re better than me, but should that really be enough to get you a seat in Formula 1? Despite the Ferrari engine, the Sauber team has fallen a long way from the days when Kamui Kobayashi and Sergio Perez would put in brave, epic drives to bring home a smattering of points now and then. Even further from the days when they wore BMW badges and Robert Kubica was threatening to win some races. My prediction? The ex-junior Ferrari team will be dead last by the time 2016 rolls to a close- if the team even makes it that far. Those are my predictions for this Formula 1 season preview- what about yours? Do you think McLaren-Honda will be able to score some podiums? Wins? What about Sauber? They always start strong and score points early, but will the lack of money keep them from that, even? Let us know what you think in the comments section, below. Enjoy!